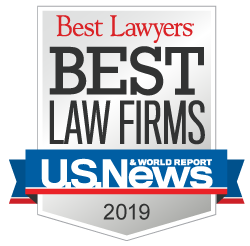 William T. Gibbs, a trial lawyer at the Chicago law firm of Corboy & Demetrio has been selected The National Trial Lawyers: Top 100 Trial Lawyers. Bill joins Thomas A. Demetrio, Michael K. Demetrio, Robert J. Bingle, Kenneth T. Lumb and Edward G. Willer on the list. In 2013, Bill was named to The National Trial Lawyers: Top 40 Under 40, which comprises top young trial attorneys across the country and is by invitation only. Bill, along with Corboy & Demetrio founding partner Thomas Demetrio, currently represents numerous retired NFL players and the Estate of former Chicago Bear Dave Duerson against the NFL in litigation stemming from concussions and CTE suffered by Duerson. Bill and Tom also represent the Estate of former New York Rangers hockey enforcer Derek Boogaard in litigation against the NHL alleging the league failed to monitor the prescription of drugs by team doctors that led to Boogaard's death.